Nautical. At the seashore or on board ship you may decorate for parties or use for gifting. 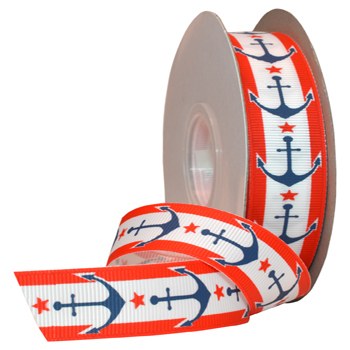 The printed anchor design repeats on polyester white grosgrain with a red boarder. Anchors aweigh!